Many Apple device owners depend heavily on iCloud, iMessage, FaceTime, Apple ID, Siri, the App Stores, and the other myriad of Apple online services for their Mac, iPhone, iPad, iPod, and Apple TV to work as intended, whether it’s backing up to iCloud or sending messages to friends and families, using iTunes, or logging into the online stores, or authenticating an Apple ID. Thus, it’s not too surprising that potential downtime or issues with these Apple services can lead to user problems, with various error messages and failures to perform otherwise simple tasks. While sometimes issues with such services are user created, other times the problems are on Apple’s end, and so for troubleshooting purposes it can be very helpful to quickly find out if Apple services are online or if they down. Do you see green next to the service name(s) you want to check? Then the service is working as intended, it is up and functioning. Do you see red, yellow, or orange next to the service name(s) you are checking? If you see anything other than green, the service is likely disrupted, down, or not functioning as intended, thus you may be encountering service disruption issues. This can be invaluable for troubleshooting purposes, because if everything on the Apple System Status switchboard is showing as online and green but a user is still experiencing problems with a particular service, it suggests the issue is not with Apple but with the device trying to connect to the Apple service. Common solutions to simple connectivity issues are rebooting an iOS device, force rebooting a Mac, disconnecting and reconnecting from the internet service (wi-fi or otherwise) by toggling the service off and on again, checking the router / gateway, checking that the internet connection is working in general, and, sometimes, installing software updates that may be lingering around for compatibility. There are many possible reasons that a device may not be connecting to an Apple service, but usually those simple tricks will resolve the problem as long as the Apple service is actually online and working as intended. So, when in doubt, just load up the Apple System Status webpage and check yourself, no need to ask if iCloud is down or if iMessage is not working, you can find out quickly yourself directly from Apple. You’re welcome! It’s a good link to bookmark. 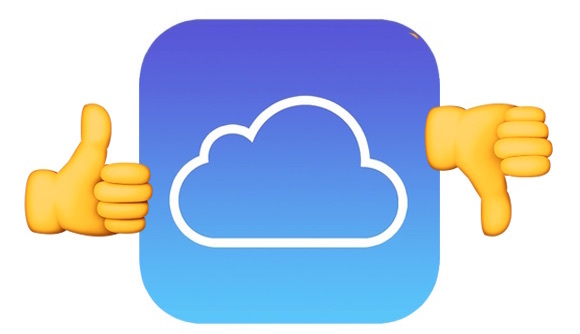 It can be invaluable for troubleshooting, I can’t tell you how many times I have had people ask me if iCloud is down or if iMessage is down, only to have a local issue with their device, and vice versa, where they think iCloud isn’t working on their iPhone but in fact the iCloud service was down. Generally speaking Apple services are very reliable and are rarely down, but sometimes it happens, it’s the nature of the internet, things may go offline for maintenance or for unforeseen circumstances! This thing is putting the smileys to the wrong place! I put them at the end of the sentences and for some reason they show up in the middle. I find that status page to be primarily fiction. Services are often down, sometimes for long periods, and it is not reflected on the status page. 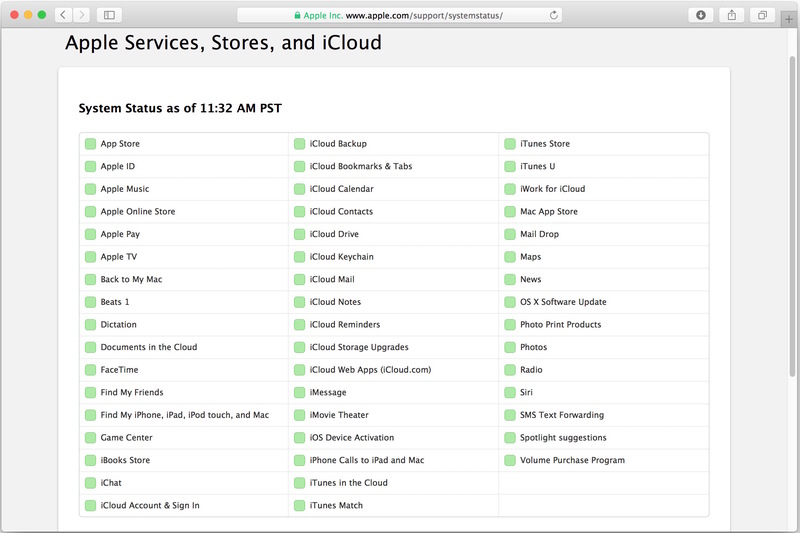 Often there is even acknowledgement from other sources within Apple that a service is down — but the status page will be steadily green. The page opens, there is a table – but it is empty! It shows the correct time, CET, but that is it….